Today’s chief financial officers (CFOs) and financial executives are being asked to improve business performance and shareholder value, along with operational effectiveness and efficiency. 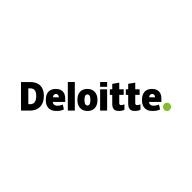 Deloitte Oracle Financials Senior Consultants help clients delineate manufacturing strategy and vision, design and implement manufacturing process and systems which align with business objectives, having a measurable impact on growth. Do you want to be a part of a team that transforms the business landscape for its clients? Do you want to be on the winning team that drives transformation, improves productivity and streamlines business operations? Do you feel your skills surpass those of your peers and colleagues? If your answer is yes to all of these questions, it’s very nice to meet you and we want to hear from you immediately! • Functional implementation experience with 2+ complex, full lifecycle Oracle EBS Financials implementations (Oracle R12) with Oracle Revenue Management & Billing (ORMB) and/or Customer Care & Billing (CCB). • A minimum of 6 years of experience implementing some combination of Oracle Financials modules including: General Ledger (GL), Sub-ledger Accounting (SLA), Financial Accounting Hub (FAH), Accounts Receivables (AR), Accounts Payables (AP), Cash Management, Fixed Assets, Treasury, EBTax, Advanced Global Intercompany Systems (AGIS), Invoice modules. • Demonstrated experience as a senior resource assisting in the definition of systems strategy, gathering and documenting business requirements, leading fit-gap analysis, as-is and to- be business process designs, conference room pilots (CRPs) functional configuration, testing, client user training.